On Saturday, February 9th, Jamaican Olympian and National Record Holder Kemoy Campbell collapsed during the Men’s 3000m at the NYRR Millrose Games. As of this morning, Kemoy is in critical but stable condition in the ICU at New York Presbyterian/ Columbia University Hospital. Thank you to everyone for your continued support. Kemoy is awake and talking. Please continue to keep him in your thoughts and prayers. Kemoy will continue to be monitored and recover at the hospital for the foreseeable time. In order for Kemoy to continue receiving the best care and to offset mounting medical costs, we are asking for donations to help pay for his time spent in the hospital, all of the tests that were done in the hospital, and any other related medical bills. Any donation made to help Kemoy on his road to recovery is greatly appreciated. Once withdrawn, the money will go straight to the medical bills. Kemoy and his family are very grateful for the overwhelming support and outreach. 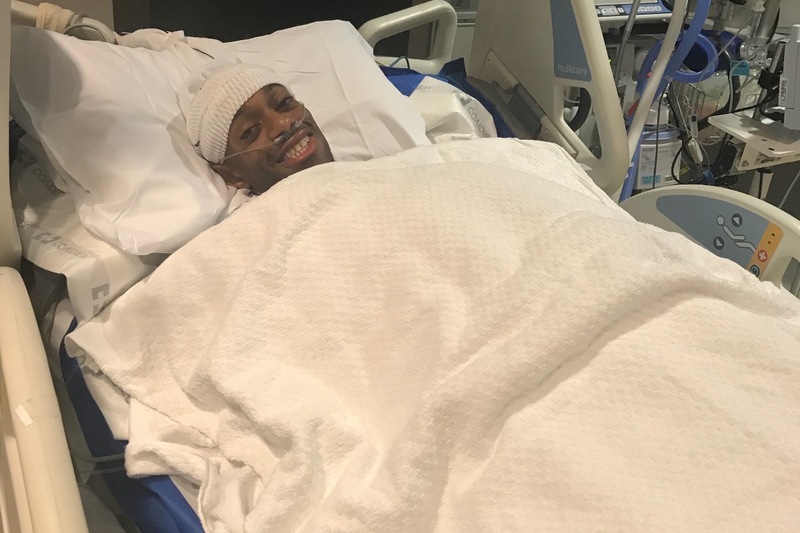 The Campbell family would also like to express their gratitude for the team of doctors, nurses and staff at New York-Presbyterian/ Columbia University Hospital who have used their extraordinary talents in assisting Kemoy and for the outpouring of support from the track and field community. Hey everyone! Reebok created these t-shirts for Kemoy! Kemoy is the best and one of the strongest people out there. It makes me happy to see how many people truly care about him. May these shirts be a little reminder to never give up, just like he didn’t. Hi everyone! Kemoy had surgery on Monday to put an ICD (internal defibrillator) into his chest and it went well. In better news, after 17 days, Kemoy is out of the hospital! We are so blessed to have him home. Thank you for all the continued love and support. Last night Kemoy was moved out of the CCU and into another room to continue to recover and while he waits for more test results. Yesterday he had an MRI of his heart. Hopefully we will hear more about those results today. Kemoy is still laughing and smiling and trying his best to stay optimistic. Everyone here loves his smile! Thank you for all of the continued love and support. Hi everyone! Thank you so much for all of the generous donations. We really appreciate all of the love and support. On Monday, Kemoy came off sedation and almost immediately was able to talk. 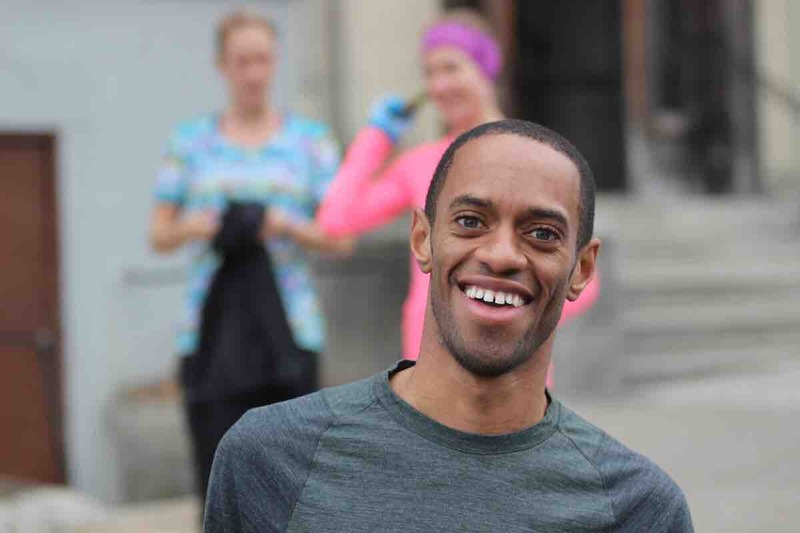 When I arrived at the hospital, he flashed me a famous Kemoy Campbell smile and it was incredible. That day, we were able to talk with him a little bit and he was able to eat in small amounts. Yesterday Kemoy walked three laps around the CCU! It was an amazing sight. Although Kemoy still has a long road ahead of him, the progress is encouraging. He loves you all very much.